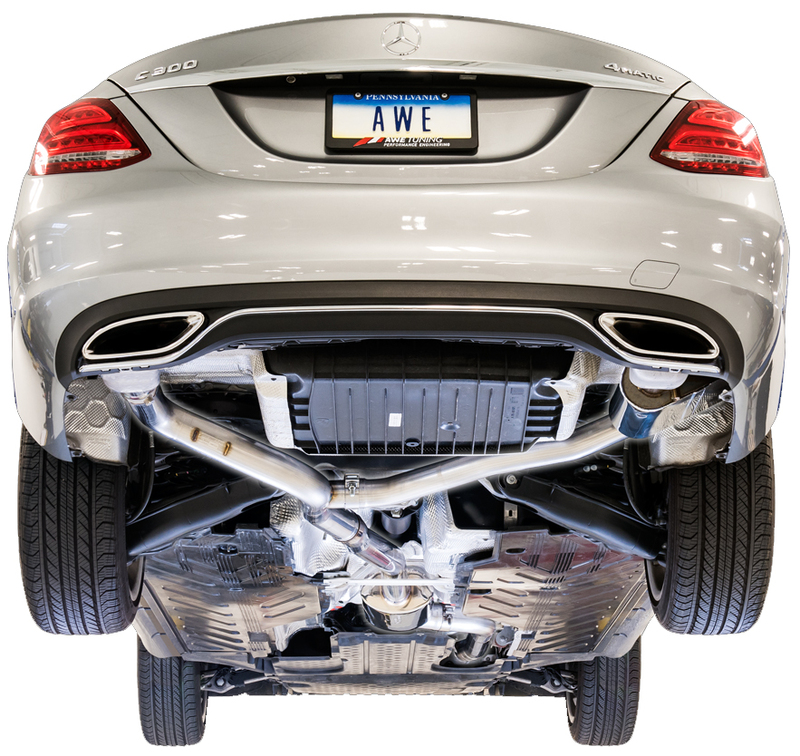 Enhance the performance of your Mercedes Benz C300 with this SwitchPath Exhaust System from AWE Tuning. 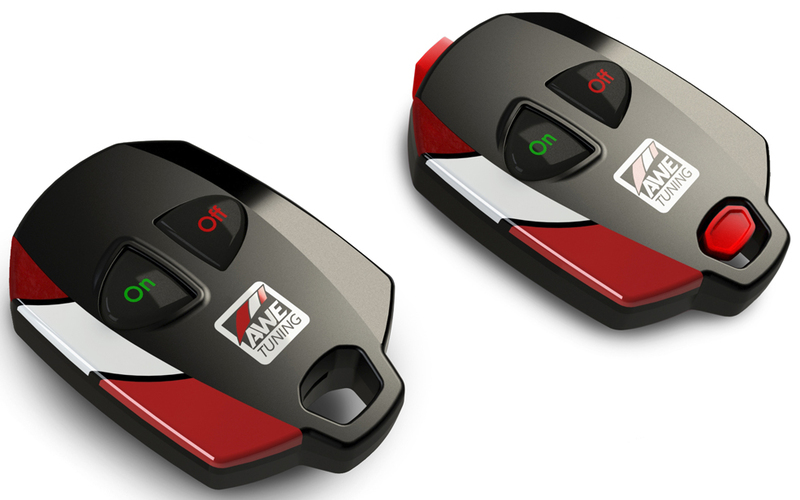 Control the tone of your exhaust with a push of a button utilizing the SwitchPath Remote. Increase the drivability by changing the sound of your exhaust within seconds with the drone-free control. 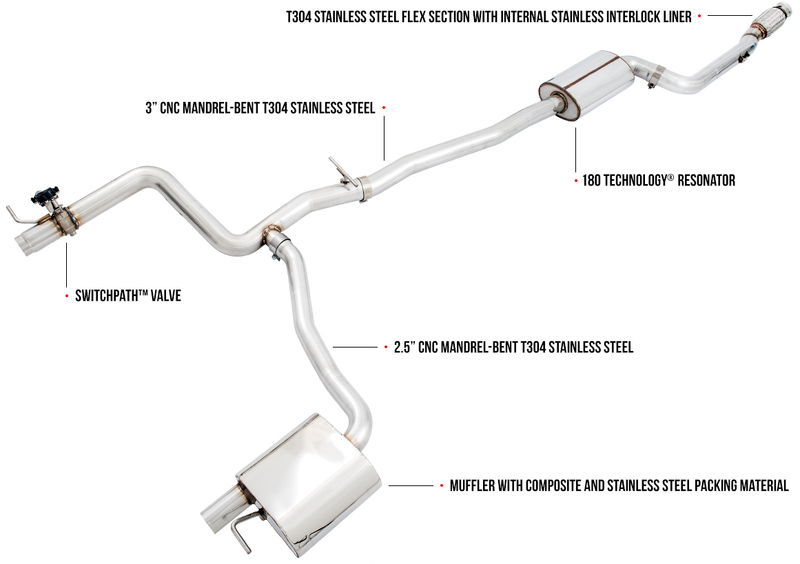 With the performance gains that this exhaust system provides you with, you'll be sure to stay ahead of the competition. The AWE Tuning SwitchPath Exhaust System is equipped with valves throughout the exhaust to control the tone and volume. You can go from a sophisticated exhaust tone, to a much more aggressive tone with just a push of a button utilizing the SwitchPath Remote. 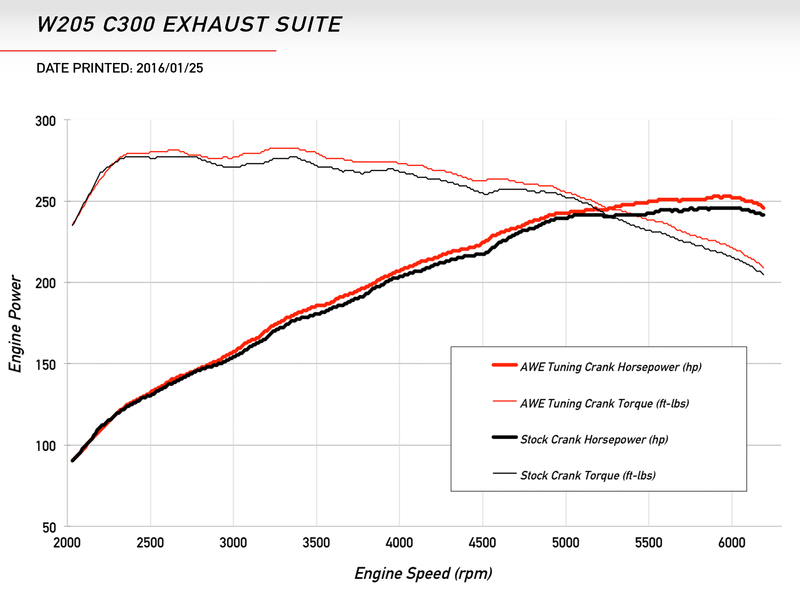 Please Note: This exhaust system has also been confirmed to fit Chinese market C200 Estate models.